MANVEL, TX (KTRK) -- Get ready to say "awwwwwwww!" An adorable video of a donkey and a horse playing in Manvel has just been posted to social media, and it may just be the cutest thing you see all day. 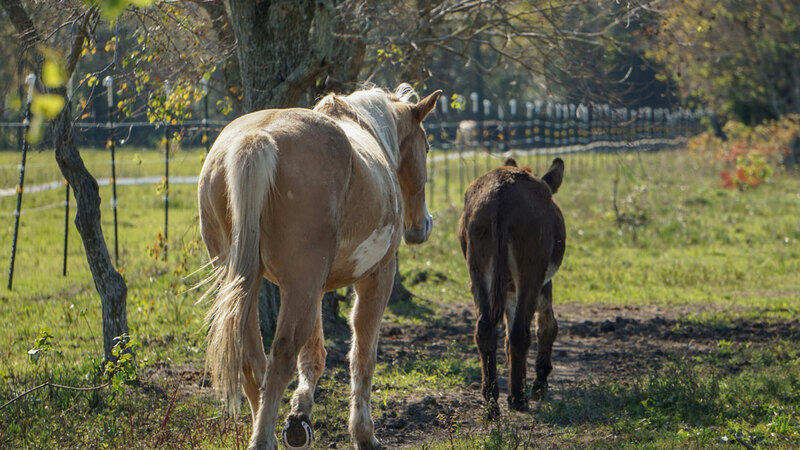 Habitat for Horses says the footage shows Ashton, a Quarter Horse, and Job, the rambunctious donkey, as they frolic around the horse welfare group's rescue facility. The group says Job has since found a loving forever home, but Ashton is up for adoption. The Manvel-based group says it keeps over 400 rescued horses across five of its properties, where the staff care for the animals. "The ultimate reward," founder Jerry Finch says, "is a healthy horse, restored physically and mentally, leaving to a new home and a new life."